Brand Book Timetravels Incoming Ltd. This is an introduction to what makes up Timetravels Incoming Ltd. Have a read, it will help you to know us better. Click on the image to open the online presentation. Our team consists of Travel planner professionals with a passion for making the tours seamless and memorable! You can trust our team to take care of every detail and every guest with the highest standards of customer service attitude in mind. Let us make your tour hassle and risk-free! Cabins and cottages are essential for Finns in forgetting the everyday worries, hectic work life and to just focus on enjoying Finlands greatest resource: nature at its rugged natural beauty. Our cottages provide authentic Finnish cottage experience while offering all modern necessities. 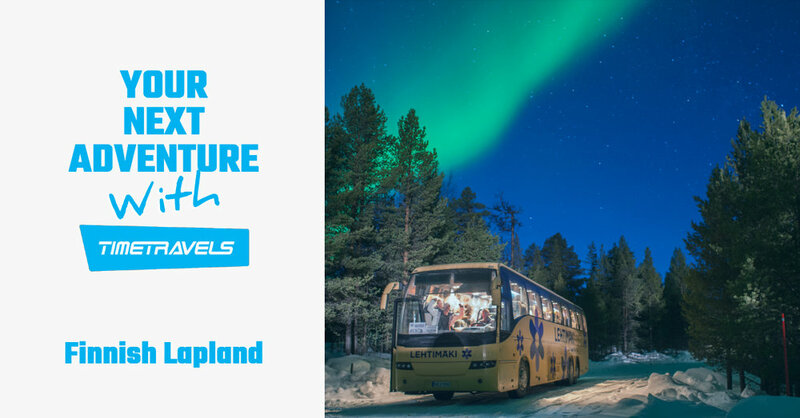 Your next adventure with Timetravels: Finnish Lapland! Welcome to above the arctic circle to the magical winter wonderland of Saariselkä.